In the Geological Society, London, on May 27th, we explored the idea that we might be able to improve the way we look for oil in the North and South Atlantic by developing new methods. Or to state the opposite, perhaps the disappointing results from the Transform Margin west of Ghana, Namibia, French Guiana, Mauritania, Morocco and the North Atlantic (except Canada) have been due to the fact that explorers are only using an old set of ideas. Mike Dyson of Navigant, and a former general manager of well engineering with BG Group, on how to reduce the costs of exploration wells. 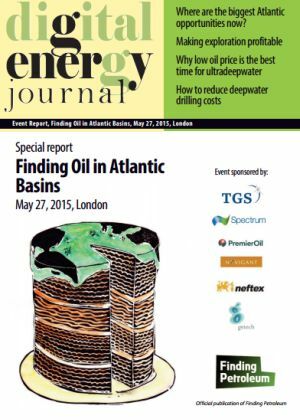 Also Neftex, LR Senergy, Getech, TGS and CGG, on opportunities in the North and South Atlantic. Once we move away from the Gulf of Mexico, successful deep water oil E & P has been enjoyed mainly in the basins of the South Atlantic – Angola and Brazil above all; Ghana; Nigeria to some extent. Elsewhere has been disappointing – the Transform Margin west of Ghana; Namibia; French Guiana; Mauritania and Morocco…. Equally, the North Atlantic – offshore Canada aside – has been disappointing so far. So is the game now over? Or is it that everybody has simply been pursuing the same ideas – “Girassol – lookalikes”, “Jubilee – lookalikes”, “Brazil sub-salt – lookalikes” and so on – and what we actually need are some NEW IDEAS? Joanne is an exploration geophysicist with 20 years experience of working in the oil industry. Her early career was spent working with Landmark, later bought out by Halliburton, moving around between England, Norway and Scotland. Nine years ago she joined PGL, later bought out by LR Senergy, where she has had the opportunity to work on a diverse range of projects and regions including North Sea, West of Shetlands, Mauritania, Brazil and Argentina. Joanne is currently the Exploration Team Leader in Aberdeen and has responsibility for the Ternan group of reports and studies, producing non-proprietary regional studies. The Ternan brand is now well established, with a strong reputation for producing high quality regional reports based on play fairway analysis. Mike Dyson is a Director in Navigant’s global Oil & Gas practice based in London, UK. Mike brings more than 30 years’ experience in the upstream oil and gas business, having worked in Shell and BG Group exploration and production (E&P) companies around the world. His core expertise is in well and production operations, capital projects, supply chain strategies and new technology development and implementation. He provides consulting advice to oil & gas E&P companies looking to improve their business performance, and is a strong advocate of holistic and sustainable improvement by tackling all elements of transformation. These include rigorous operations planning and execution, collaborative working across the supply chain, application of new technology, teamwork communications and personal leadership. Exploration in the Ceará basin, on the south-western part of the Equatorial Margin of Brazil, commenced in the early 1970s. Several moderate size fields such as Xaréu, Curimã, Atum, and Espada Fields, with URR volume of around 200 MM BOE, were discovered on the shelf and are producing to this day. Exploration in the deep water part of the basin has been sparse (only 5 wells in water depth greater than 1000 m to date) with some success but, most importantly, de-risked the working petroleum system. With significant part of the deep water acreage licenced to operators in the 11th bid round in 2013, the basin is now embarking on the new exciting phase of exploration. Ceará basin sedimentary fill is divided into three mega-sequences: syn-rift, transitional and drift. The basin is blessed with world-class source rocks of Aptian to Turonian age developed within all three main megasequeces. The Transitional megasequence contains both the source rocks and the reservoirs. This play was tested by the Pecem discovery in 2012 by Petrobras on the flank of a large structural high. Reservoir quality and connectivity remain the main uncertainty for this play. Other plays include a structural play with reservoirs in the syn-rift sandstones (Mundaú formation), and the Upper Cretaceous turbidite slope channel/canyons. In addition, in the outboard blocks onlap wedge plays in the Transitional early lower part of the drift megasequence have been identified. These plays could be analogous to the successfully tested plays on the conjugate margin in West Africa. Premier Oil plc (Premier) and partner CEPSA have won two exploration licences (Blocks CE-M-717 and CE-M-665) in the 11th bid round and are now the dominant acreage holders in Ceará basin. The Premier JV has reprocessed two existing 3D surveys resulting in an improved definition of both the syn-rift and drift section and imaging of new prospects and leads. A multi-client 3D survey using broadband technology is planned for 2015 which is expected to result in a superior seismic image in time for impacting the exploration drilling programme in 2017.